The Shark portable steam cleaner also known as the Shark portable steam pocket is a handheld steam cleaner from Shark which has received a lot of mixed reviews in terms of its perfomance. The product was introduced to the market with excessive hype and marketing. This raised a lot of expectation from huge crowds that had been used to high quality effective products by Shark. The Shark portable steam pocket is an environmentally friendly home cleaning appliance which relies only on hot steam to steam clean a variety of surfaces in your home. 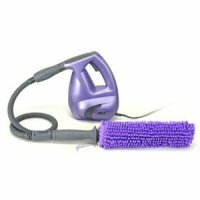 It comes with a variety of attachments designed to clean certain surfaces. The reason behind its steam pocket name is that it releases steam through specialised pockets meant for different surfaces. For example, it has an all purpose wedge cleaning pocket, an all purpose cylinder pocker, a squeege pocket and so on. These attachments in as much as they are meant to help clean different surfaces have been at the centre of user frustration with this Shark portable steam cleaner. Altogether, there are at least 18 attachments associated with this handheld tiny steamer. Users have complained that changing the attachments along during cleaning has often nearly doubled the cleaning time. This is apart from the need to refill the steamer several times whilst cleaning. 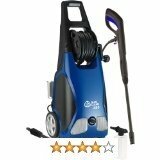 Yet again there is another problem with this Shark portable steam cleaner which is in reality very dangerous. There is great danger to burn yourself with hot steam which tends to flow along the attachment and onto your hands whenever the cleaning attachment or pocket is put in an inverted position. This can easily happen when cleaning underneath furniture or cabinets, for example. There is also the general design flaw side of things concerning this Shark portable steam cleaner. Some users have complained of the egornomics of the handle. 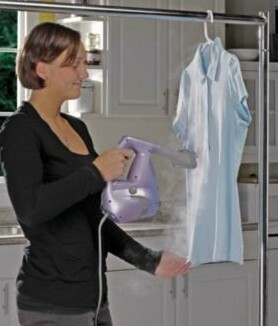 It will also be necessary to carry around the relatively heavy steamer whilst steaming. This in itself is tiring to the arm. In addition your finger is also expected to continue pressing the steam button all the time. Some users have resorted to using a velcro strap to keep pressing the steam trigger button. Tip: If you are getting weak warm steam it could possibly because you have not attached the necessary wand and attachment or pocket. Without these the steam output could be weak and lukewarm. 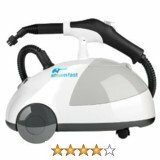 This Shark portable pocket steamer has also received a good share of positive reviews particulary as it relates to its ability to do certain cleaning jobs. Of particular note is its effectiveness in dealing with bed bugs and dustmites. In this area there have been little complaints. Most users recommend it should this be the sole purpose of the purchase. It has also been great cleaning windows and a list of other things as mentioned in the list above.